Egypt’s Coptic Orthodox Church is celebrating 100 years since the opening of its first Sunday Schools in 1918, and to mark the occasion the Youth Bishopric has published A Vineyard of Red Wine, a book by Rami Atta, a university professor and winner of the State Encouragement Award for Anti-Discrimination. In the book’s 230 pages, Atta meticulously researches the life and works of archdeacon Habib Girgis, who was canonised a saint by the Coptic Orthodox Church in 2013. In a simple, flowing style, A Vineyard of Red Wine introduces readers to Girgis’ role in serving the Coptic Orthodox Church and particularly his role in education. Bishop Moussa, the church’s bishop for youth, introduces the book, writing that Girgis served the church in two ways: by establishing its Clerical School to train students to become enlightened men of God capable of providing services and tutelage to the church’s members, and by founding the Sunday School movement aimed at raising generations that would be bonded with Christ, the church, and the homeland. “Habib Girgis was a pioneer of reform and enlightenment. All those who knew him sang his praises because of his decency, noble values and humanitarian principles,” Atta writes in his introduction. In the first two chapters, Atta details Girgis’ upbringing. He was born in 1876 in Cairo, where his father worked as chief clerk in the Prevention of Slavery Authority, a state authority affiliated to the Interior Ministry during the reign of the khedive Ismail. When the authority’s work was stopped, Habib’s father left with a pension. In 1882, when Habib was six, his father died, leaving behind his wife, a daughter, the eldest among Habib’s siblings, and three sons. Habib was the eldest. Girgis enrolled in the Greater Coptic School in Cairo, which had been established by Pope Kirollos IV (1854-1861), the 110th patriarch of the church known as the “Father of Coptic Reform”. In 1892, he graduated from the school, located in the Church of St Mark in Azbakiya, and in the following year, when the Clerical School was opened during the ministry of Pope Kirollos V (1874-1927), Girgis enrolled. Youssef Mancarious was the school’s first headmaster. Because of his diligence, Girgis was appointed a teacher of Christian studies for first-year students in March 1898 when he was still in the fourth year to replace the ageing priest Fliothaous Ibrahim. Girgis was known among his peers for his dedication and passion for study. While teaching, his hunger for reading only increased, and he was said to have read all the books in the Patriarchal Library. 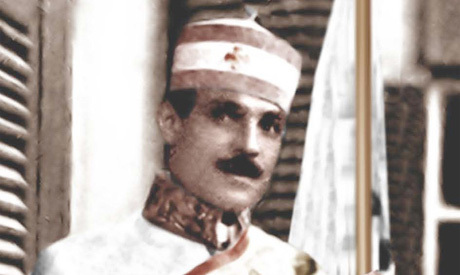 When Mancarious died in 1918, Pope Kirollos V appointed Girgis as headmaster of the Clerical School. He toiled to develop it, adding to its infrastructure and rebuilding its interior. He brought the best teachers and added subjects he saw as necessary to qualify students to become responsible priests and bishops. He also reduced the time spent at the school to four years instead of five. In 1931, Girgis founded the Virgin Mary Church for students of the Clerical School in Mahmasha. Later, this church opened its doors to everyone. Physicians, engineers, accountants, businessmen, teachers and graduates in the sciences, commerce and literature all joined the Clerical School, enriching the quality of its education. Among the students who graduated from the school at this time were some who later became bishops or priests, such as Pope Shenouda III and Bishop Athnasious, the bishop of Beni Sweif. After a special programme had been put in place by Girgis, the first batch of students graduated from the day section of the Clerical School. It consisted of Saad Aziz (Bishop Samuel, the general bishop of services), Wahib Zaki Salib (Arch-Priest Salib Sorial), and Deacon Yassa Hanna, an engineer. Girgis’ faith in the school and its message in the service of the church led him to face challenges with determination and strength. His efforts bore fruit when he succeeded in convincing the then minister of education, Al-Sanhouri Pasha, to register the Clerical School as an approved institute of higher education. SUNDAY SCHOOLS: Atta dedicates Chapter Three of his book to the story of the Sunday Schools and how Girgis felt strongly about the Coptic Church’s need to attend to the younger generation and their upbringing. Through the Sunday Schools, Girgis believed, young people would be brought up according to the principles of Christianity and get to know their religious duties. He thought that “some boys and girls are brought up indifferent to religious matters. They grow up knowing very little about their spiritual duties.” It was this situation that he was determined to remedy. Another reason for the foundation of the schools was to make up for the lack of study of the Christian religion in public and private schools at the time. Despite the efforts of Morcos Pasha Semeika (1864-1944) to add Christian studies to the curriculum of public schools in 1907, the tutoring was not adequate because the teachers were not professional. At the time, Coptic teachers specialising in other subjects were assigned the task of teaching Christian studies. Some students also largely ignored the subject since it was extra-curricula, a fact that made Girgis even more determined to establish the Sunday Schools. This first took place in 1900, or a little before, when Girgis was 24. He was so passionate about them that he used to gather students at regular meetings at the Virgin Mary Church in Faggala. The idea of the schools then began to spread in and around Cairo with the support of Pope Kirollos V who believed in their importance. Girgis sought the help of educated young people to teach the children their lessons, and over time the schools encouraged large groups of young people to study the Bible and other religious books and help the children and older generations that they taught. The Sunday Schools prepared children mentally, physically, spiritually and socially, stressing their belonging to the church and the homeland. Girgis’ own publications were the seed of the curriculum. Classes were established to prepare servants to serve in the schools, and as time went by these classes became a part of every church in the country. Atta dedicates Chapter Four of his book to Girgis’ publications through which he sought to educate his generation. They are a valuable addition to the Christian and Coptic library, and today many readers are keen to read books that include The Seven Sacraments of the Church, St Mark the Evangelist, and The Coptic Orthodox Clerical School Between Past and Present. Girgis was always passionate about Egypt, giving lessons about the love of the country and the importance of belonging to it. He believed in national unity between Muslims and Christians, and he wrote many educational and spiritual hymns in love of the Church and the country. In his book A Practical Means for Coptic Reformation: Hopes and Dreams to be Fulfilled in 10 Years, Girgis wrote of the independence movement against the British. “No one can forget the awe-inspiring unity that appeared among the nation’s Copts and Muslims following the uprising to demand independence and how the Cross and the Crescent appeared on flags symbolising this unity,” he said. Girgis believed such unity was the normal course of things between Muslims and Copts, notably because the Copts were raised to love their country and their brothers in the nation who shared the same blood, language and interests as their compatriots. He was always modest and forgiving and dedicated his resources to charity. He founded many charities to serve the community that provided religious, spiritual, health and social services and strove to provide the needy with better living conditions. Habib Girgis died on 21 August 1951 at the age of 75 after two years’ illness. Atta provides details of his funeral, which was attended by representatives of all the Coptic institutions. It started at 4:30pm with a horse-driven black carriage carrying Girgis’ body heading to St Mark’s Church in Azbakiya. The procession was led by bishops, priests, deacons and many Clerical and Sunday School students in addition to representatives of civil society organisations nurtured by Girgis. The St Mark’s Church bells rang out their grief, and the hall was crammed with mourners. Farewell speeches were given for two hours before the body was carried to its final resting place. The mourners then headed back to Girgis’ house to pay their respects to his sister. Towards the end of A Vineyard of Red Wine, Atta includes an article Girgis wrote in the magazine Al-Karma, which he founded in the 1930s. In this piece, entitled “Where to find happiness”, he said that happiness does not come in the form of money, fame, education or physical pleasure. Happiness, he wrote, comes through faith, virtue, work, and performing duties selflessly. The same article was the subject of a speech Girgis gave at the Young Men’s Christian Association in Cairo on 6 and 13 April 1911.